NewAfrican Magazine has published an exclusive interview with President Paul Kagame. Omar Ben Yedder, Group Publisher of IC Publications conducted the interview. 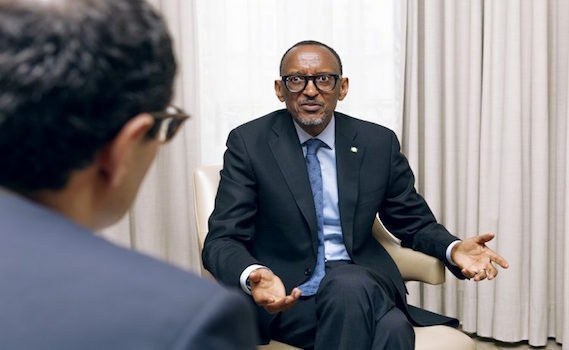 He says President Kagame is emerging as the de facto spokesperson for Africa with his clear vision of the continent’s strategic position in the world’s political and economic environment. In this period of great global uncertainty, Kagame’s analysis of the forces acting on and shaping Africa’s future provides a welcome and much-needed navigational chart. New African: I would like to start by talking about what is happening in the world today. Recently in the US and in Europe, we have seen an increase in hate and scapegoating of minorities. The rise of the farright parties in Europe must have uncomfortable echoes for someone like yourself, who has seen what this line of politics can lead to. What is it leading to? President Paul Kagame: I wish I knew where we are headed to. But some of the things we are seeing today are not new. Many of us have been experiencing these prejudices and all kinds of injustices for a long time, but we were told it was always our fault as Africans, as Rwandese. We were told how to handle our affairs as if everything they, these “advanced” societies did back home was perfect and in order. Truth being what it is, some of us who take time to analyse the global situation could actually see this development coming. The so-called liberal democracies assumed that everything was rosy in their garden. Instead, they came lecturing us and telling us we should be doing this or that. They assumed that whatever the textbook tells them about liberal democracy is actually how it works… that it has nothing to do with the feelings, the sentiments, the culture and history of the ordinary people. Are you worried about Trump diverting aid money to defence and that the US will be adopting a more protectionist stance? Or do you think there is nothing for us to fear? That has many sides to it in my view. Humanitarian aid is definitely very important as it addresses the immediate problem. That should always be there because it saves lives and I believe there will be no decrease in US humanitarian aid. What I am more worried about is whether aid, in its present form, is really doing its work. Is it to help develop our countries or is it a mechanism to shape the political landscape of the recipient nations to fit in with the needs of the donors, not our needs? The other important question is just how do recipient countries use the aid? If the aid goes to countries like ours to help us stand on our own feet eventually, it is a good thing. But if it increases dependency, then it cannot be good for us in Africa. Aid should also be given in the spirit of cooperation, where we work together to bring about a mutually agreeable outcome. It should not be prescriptive or dictatorial. If you want me to behave like you or believe in what you believe in, convince me through dialogue and conversation. But if you have this belief that I have to be like you and you have the right to dictate it to me, then the main outcome is going to be rejection. Somebody may even reject something entirely because of the manner in which it is presented. You know, Trump’s administration not paying much attention to Africa may be a good thing. It means that maybe those of us who are worried about aid need to step up and start thinking, not so much about what somebody is willing to come and do for them, but rather, what we can do for ourselves that we actually don’t do. For example, if you look at the levels of intra-African trade, business, investments and so on, they are very low. Compare them to intraregional trade and investment in other parts of the world. Why are the levels not bigger in Africa? It seems we are waiting for somebody to hand things over to us, like a gift. How can we say, these people need to keep doing things for us when we should be doing them for ourselves? So while we are hoping for the best from this administration to keep humanitarian aid going, we also wish for continuation of normal aid, but in a form that allows us to make changes to solve our problems. We would also appreciate less interference – we talk of freedoms but if you insist on managing people’s lives, you are managing their freedoms. This is really what this turmoil is all about – even when you’re talking about trade or globalisation, which by the way has been a good thing in principle, the issue is undermined by people wanting to get things their way and not sharing. And that brings me to the question of governance. How do we govern? It all boils down to whether it is about fairness, about justice, about accountability, about accepting that it’s not always going to be you having your way on everything and leaving others to fend for themselves. I was at the World Economic Forum (WEF) in Rwanda and Tony Blair was there, a supporter of Rwanda. Over the years, you have formed a rapport and possibly even a friendship with the former UK Prime Minister. Do you feel he gets an unfair press? Tony Blair is a friend of Rwanda, he is my own friend and I appreciate his time and advice and all the things we do together. In fact, this relationship developed much earlier than just when he was out of government. It was there even when he was still prime minister. Although I wasn’t working directly with him at that time, Tony strongly and actively supported the Rwandan government development and reconciliation process. A very significant role was played by Clare Short [his Secretary of State for International Development], who was also very supportive at the right time, in the right way, and was enabled by the leadership of Tony Blair as prime minister to do so. We have had relationships with the UK starting even before that, going back to the Conservative Party, which was very significant. But given his place in British society and that he was a leader, there will always be those who appreciate what a leader has done and there will always be others who have a grudge with a leader for a different reason. I understand his difficulties in the UK and some very negative views about him which are attracting a lot of attention from the press, but I guess he knows how to deal with that himself. As far as I am concerned, or Rwanda’s relationship is concerned, I can vouch that he can withstand any criticism on this score because he has not done anything wrong on his part. I would like to switch from global events to our continent. Is there the same appetite to take up pan-African leadership, for example at the AU today, as there was back in 2003? You are talking of leaders the likes of Abdoulaye Wade, Obasanjo, Mbeki, Meles Zenawi, Bouteflika of Algeria, all of whom were driving matters of the continent in a positive direction. From the beginning of the AU, we had this group of people who took on this pan-African leadership role. The leadership has now turned to the AU Commission. But having said that, I still think that the mood in Africa generally, as was reflected during the AU summit, is of wanting things to move in the right direction, to bring the changes that are required to transform the continent politically, economically, socially; to bring the African continent together and give it a voice in global affairs. The mood is there, the thinking is there but that leadership which you rightly alluded to, may not appear as vocal. There is a realisation that we need to do something. It is not enough to talk about the AU and Africa and being proud of everything but realising very little. Interestingly, during the 27th AU Summit in Kigali, I had left the conference hall and when I returned, everybody said I should lead the AU finance reform process. Perhaps they were encouraged by what they saw in Rwanda. They probably thought: “If things are working here in this small place, maybe this person should be given the task!” [Laughs.] It is unacceptable that 98% of the organisation’s programmes are funded by external donors. Through this process leaders are emerging. Like Idriss Déby, who was behind this process, Alpha Condé from Guinea (the new AU chairman), who is also reform-minded, Senegal’s Macky Sall, Ethiopia’s Prime Minister Hailemariam Desalegn, and so on. 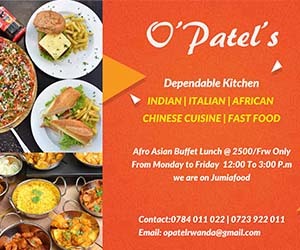 While we have seen strong movement when leaders come together – for example, when you took leadership to cut down the period of time it takes for goods to move within the East African Community – we also see a lack of political will in many instances, which acts as a roadblock to progress. And Africa needs its bigger countries, for lack of a better way to put it, to come together. I am talking more specifically about the Nigeria-South Africa axis. Roadblocks will always hold back progress – whether we are big or small we need to act together, there is no doubt. We can’t get to the point we want unless everybody realises that progress lies in working together. If you think you are big enough to stand alone, fine, but you cannot hide behind “working together” when it suits you and then go your own way when it doesn’t. There is no doubt that a few of us [African nations] are holding back the progress that we would otherwise make. Where is Rwanda today, especially in terms of where you would like it to be? I think I have been pleasantly surprised that we are where we are after such a short time given what happened in 1994. But I think we are not where we want to be yet; it is still a long journey, but we are beyond where I expected, given all of the challenges that we have faced. Do you agree that the private sector now needs to take over [from government] to ensure that continued fast economic growth. I would agree with that, absolutely, and in fact, the private sector is increasingly taking over but government still has to have a hand in some areas; even in developed countries, as in this country [the UK], government still plays an important part. Government is pulling out and the private sector is gradually taking charge. We will divest as quickly as possible but it is a process, not an event.